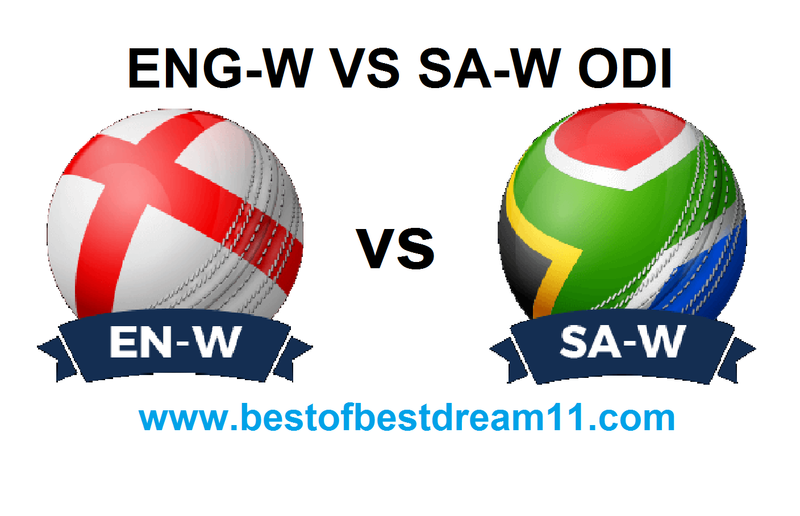 Welcome to our " BEST OF BEST DREAM 11 " FOR '' ENGLAND WOMEN VS SOUTH-AFRICA WOMEN ONE DAY MATCH, dream 11team FOR IIIrd match in ONE DAY SERIES. Here is best ENG-W VS SA-W dream 11 team for the fantasy user who are looking to make a strong team for maximum win . We are providing latest news, match update, information about the match. The team is picked by using various factors on the basis of performance .ground stats and latest form. 1-England have equal the series by winning the last match. 2-in the previous match, T Beaumont(101 run),S Taylor (118run) made a fabulous century. 3-L LEE(117 run) constantly making runs.